An increasing number of people are starting to understand that their real risk exposure is not in the costs associated with repairing or replacing their car or home; rather, it is in the far more costly liability risk. Yet, most people drastically underestimate their personal liability risks. In addition, the claims associated with personal injuries occurring on one’s property can far exceed the repair and replacement claims made as a result of covered perils. The cost of a dog bite recently exceeded the $1 million mark in a recent claim. If you ask most people, they probably couldn’t tell you what their liability limits are in their auto and homeowners insurance policies. But they could probably tell you at least one story about someone they know or read about who just won a seven-figure settlement in a law suit over a mishap. What most people should know is that the liability limits on their existing policies wouldn’t cover the average claim made by a seriously injured party. And, if the injury is shown to be a result of negligence on your part, the punitive damages can be devastating. That’s where an umbrella insurance policy comes in. With premium costs as low as $200 per $1 million of coverage, there is really no excuse for anyone with assets or an income to protect not to purchase a separate personal liability umbrella policy at a minimum. The more assets and/or income you have to protect, the more personal liability coverage you should have. Considering that just one accident can take away all that you have worked for, it is far and away the least expensive insurance protection you can buy. 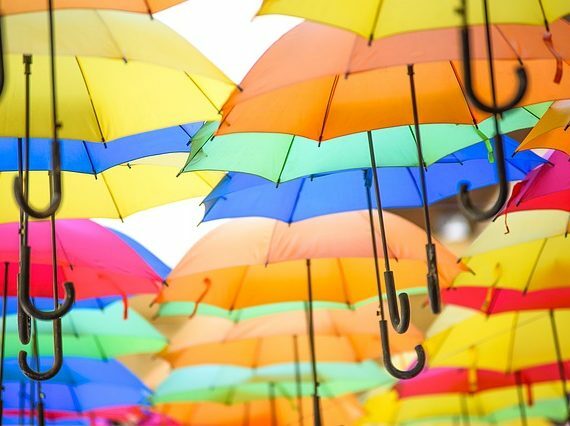 As the name aptly describes, an umbrella insurance policy is designed to provide a broad cover to protect against all that could rain down on you should someone be injured as a result of your or a family member’s actions or negligence. Essentially, it is protection against the liability you can incur, both legally and medically, if anyone meets with an unfortunate accident while on your property or if you are at fault in a car accident. With most auto and homeowner policies limiting liability to $300,000, an umbrella policy, which usually starts at around $1 million of coverage, becomes an extension of the existing liability coverage of your policies. So, if, as a result of an injury that occurs on your property, you are hit with a medical claim of $500,000, your homeowner’s policy will cover its portion, and the umbrella policy covers the excess liability. It will also cover any legal costs incurred by you or your insurance company in litigating the claim. There was a time when umbrella insurance was only purchased by high net worth people, primarily because they had more assets to protect. These days, even middle-income earners, people with a home, a couple of cars, and some savings, are more vulnerable because they can least afford to have their assets attached. You would know if you are a candidate for umbrella insurance once you add up the value of all your assets. Essentially, that is the amount that is vulnerable to liability claims. Once your assets are attached, then your wages are subject to garnishment. One liability claim can easily wipe out the wealth of most middle-income earners. For about $200 to $300 a year, an umbrella insurance policy could protect you with $1 million of coverage. Generally, $1 million increments of additional coverage only marginally increase the premium amount. In terms of the amount of protection an umbrella insurance policy provides per premium dollar, it is far and away the best deal in insurance coverage. And, considering you may be just one slippery banana peel away from a major lawsuit, it’s a deal you shouldn’t pass up.